Staff members at Gwanda Provincial Hospital privy to activities at the Gwanda School of Nursing operating within the hospital have released information suggesting there is massive corruption in the school's recruitment of student nurses. 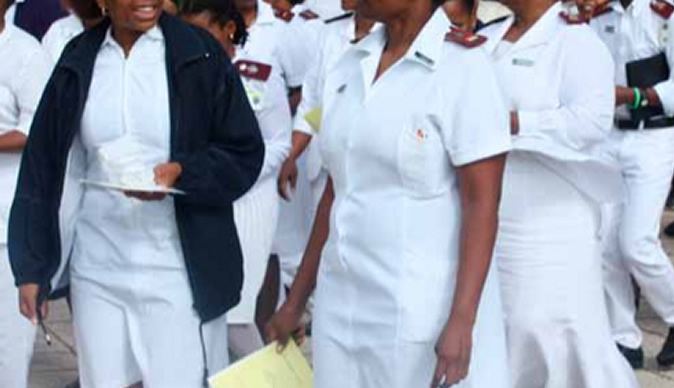 Information leaked to Bulawayo24 News from the hospital indicates that there could be massive corruption in the recruitment of trainee nurses with prospective students allegedly paying between $400 and $600 to get a place at the school. According to the information from sources, dirty dealings are so severe that the places at the nursing school are literally being auctioned with some wealthy ones offering as much as $1 000 to $1 200 to buy out those that can't afford. According to the reports, the school has completed sending acceptance letters for the first intake of 2014 and almost all the students enrolled allegedly came through the corrupt activity with very few being thrown in from the normal applications as cover up. Due to the alleged massive corruption, about 90% of the students enrolled are from outside Gwanda District as "the children from Gwanda could not afford the amounts that were required or did not even know how to play the game" said the sources. At the time of this article the hospital had just closed accepting applications for the September 2014 intake. The sources at the hospital claim that the opening for applications and placing adverts on newspapers "is just a formality" as none or very few of those responding to the adverts in the prescribed manner will be considered. Information at hand suggests that as was with the first intake, personnel has been or will be brought in all the way from Harare to come and do the recruitment process in Gwanda in the pretext of transparency. "We can confirm with you that a team has been brought in from Harare to come and do the selection of candidates for the next intake and they are coming with their own applications ready and done," said the sources. "These people from Harare are working with some people here in Gwanda and they have already completed the number of students required before they have even officially opened the box of applications," added the bitter sources. Bulawayo24 News sources managed to take time to see how the applications were being received at the hospital. The desperate applicants were apparently just being told to throw their applications into a big unmonitored box at the hospital reception. At the end of the deadline for the applications the box had thousands of hand delivered applications most of which were people from the Matabaleland region. Of particular note was that there was no system in place to check, vet and record every application as it was being received leaving a huge loop hole allowing for the alleged clandestine receipt of applications into the selection process. People from Gwanda and the generality of Matabeleland South have always complained that the nursing school is always recruiting nurses from other provinces at the expense of children from the region. According to them each province has a nurses training schools some with more than three while Matabeleland South only has one and yet people from the province are not given priority. "We don't understand how the process of recruiting student nurses is done at Gwanda Hospital because in reality almost all the student nurses there are from Mashonaland Provinces. "Is it because our children in Matabaleland can't meet the qualifications so much that almost all the students must be from outside the region?" complained a parent who had come all the way from rural Gwanda South to help her 21 year old daughter submit her application for the third time running. Last year Mpilo Hospital in Bulawayo ended up dismissing its Principal Nursing Tutor Mrs Vanzvai Majada after she continuously filled the nursing school with students from her home province of Masvingo at the expense of locals. A quick random sample of student nurses at the Gwanda School of Nursing shows a similar trend with Matabeleland South having no more than 5% of the students in the enrolment. Last year Gwanda's Principal Nursing Tutor Veronica Nyathi suffered an embarrassing social network expose when people within the system at the hospital ran a Facebook page with her name suggesting how places at the nursing school were apparently being "sold" to prospective students. When contacted for a comment staff at the hospital's telephone reception would not put the call through to the acting hospital administrator demanding to know what the reporter wanted from the administrator. After several efforts the receptionist ended up telling the reporter to come in person and make an appointment to see the administrator as he was busy in meetings and would not take any calls.